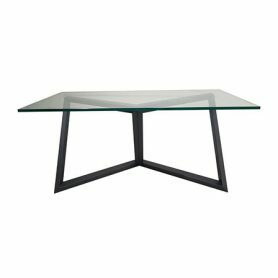 Rebis Iron Table by Nato Frascà is a vintage 70s-style table with a geometric design that belongs to the Rebis series, a sculptural form obtained from the union of four of the six diagonals inside a cube. Its shape changes according to the position of the viewer. Nato Frascà was a famous Italian designer but also a painter, sculptor and architect.